Our goal is to have our clients enjoy the new home or renovation construction process by providing them with exceptional craftsmanship and service. We want our clients to feel confident and comfortable in knowing that we have their best interest in mind every step of the way, and that we will be there for them to help and consult after the project is complete. Plumb Construction is an award winning, design/build custom home and renovation Company that was established in March of 1976. The company has been a member of the National Association of Home Builders, Home Builders Association of Maryland, and the Maryland Building Industry Association for 40 years. 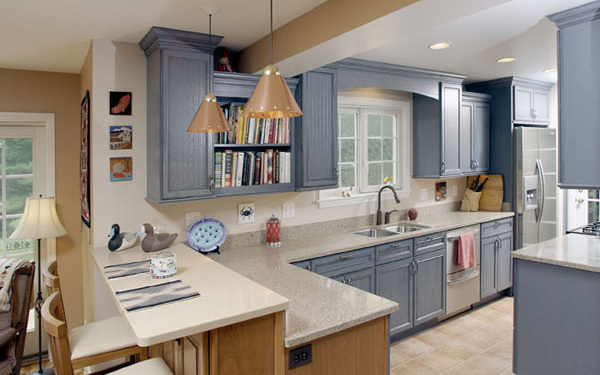 Plumb has also been a member of the National Association of Homebuilders Remodelers for 30 years, and a accredited business with the Better Business Bureau for 24 years. A. Thomas Rayner, Plumb’s president, is currently serving on the Better Business Bureau board of directors. 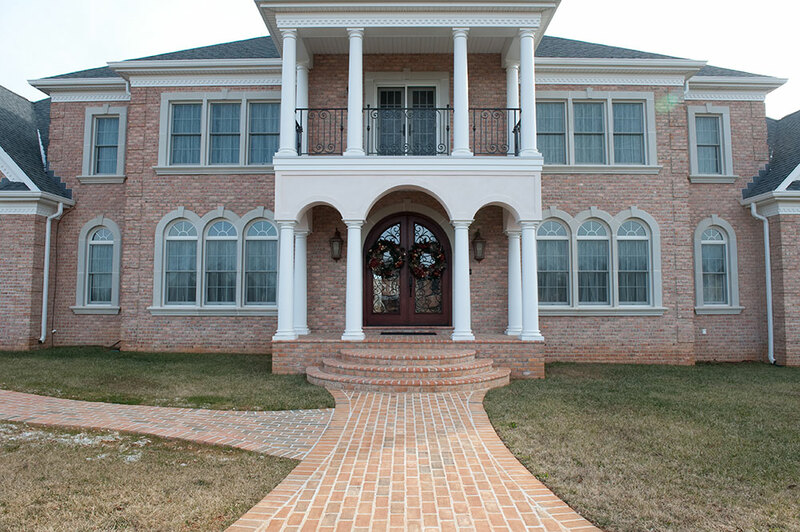 The company has won numerous awards of excellence through the HBAM (Home Builders Association of Maryland) and the MBIA(Maryland Building Industry Association) for custom homes and renovations. The company’s primary business is custom home building and custom remodeling and restoration. The price range of projects is $50,000 to $2,000,000. The company traditionally completes 15 to 20 jobs per year. I have limited my work to this volume so that I may spend the time necessary in the office to properly manage the business, as well as taking time to inspect the jobs in the field. I have a superintendent in the field at all times when I am in the office. The company’s staff is composed of myself as the president and business manager, an office manager, a bookkeeper, one superintendent, three lead carpenters and one carpenter apprentice. The dedication to detail that I demand requires a skilled and loyal work force. 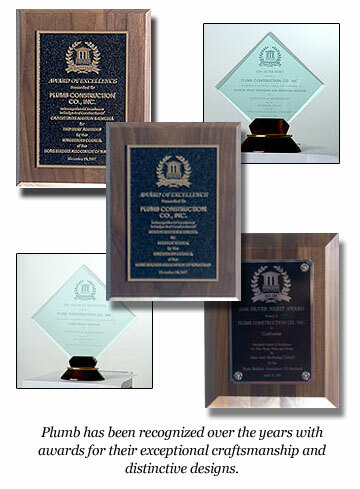 Plumb Construction Co., Inc. is founded upon the principles of value, service and knowledge. We are committed to offering the very best in value and service to our clients. In order to achieve these goals, we must continue to expand our knowledge through education and a willingness to lead through careful innovation. Our business philosophy requires that we conduct the business in a professional, well organized manner in order to create a quality product, delivered on time and within budget. I believe an important part of my job, as a builder, is to continue my education to stay current on all aspects of the building business, from improvements in building technology and design, which enables us to build the most up to date and efficient homes and renovations, to business management which enables us to do our job more professionally and productively. I also encourage my employees to continue their education. Our clients reap the benefits of our dedication to continuing education. We work for our clients not only as a builder, but also as a consultant to help with decisions and offer recommendations that will improve the efficiency and livability of their home or renovation. Plumb Construction can also work with you to develop a design for your custom home or renovation. All drafting is done on computer. We believe there are several requirements necessary to implement our business philosophy. First and foremost, there must be close supervision and attention to all detail. Good quality materials and skilled, experienced tradesmen are a must. We have been working with most of our tradesmen for 15 to 20 years. In addition, over our many years of experience, we have incorporated many unique systems that reinforce our philosophy, and enable us to produce a consistently high level of craftsmanship and efficiency in all of our homes and renovations. For example, we have developed a framing checklist for each of our homes or renovations that is completed before any finished work is applied. Clear, concise communication is essential between the owner, architect, and contractor. Clear communication can best be achieved through detailed plans and thorough, written specifications and contract documents. The contractor must be responsive to the owner and/or architect concerning any questions or changes that might arise, not only during, but also after construction for the duration of the warranty period. We encourage a constant dialogue with our clients during construction. We want the lines of communication open at all times. You may contact us by phone, fax or e-mail. Good communication has the added benefit of making the building experience a pleasant one. We want to work with our clients as partners in fulfilling their most important undertaking. Microsoft Project software is used to schedule projects and schedules are reviewed on a weekly basis to assure job completion on time. All bookkeeping and estimating are done on computer. Job cost reports are used to track job expenses and compare them with budgeted costs. Any deviations can be noted early on and corrective action taken to maintain the budget. A reasonably clean and orderly jobsite is very important and contributes to job quality. We keep a dumpster on each job to contain trash and debris. The jobsite is cleaned up at the end of each day. On remodeling and restoration jobs, care is taken to protect existing finished areas and landscaping unaffected by the work to be performed. Jobsite safety is critical. All of my employees carry with them a copy of the company’s safety program, as well as a binder of safety material data sheets. The company has quarterly safety meetings to discuss safety issues and to remind all to work safely, including tradesmen, and to keep our worksites in a safe condition. In conclusion, I have a contingency plan, should I become incapacitated, that would provide for the necessary management and supervision to complete the jobs in progress.